13. It’s so weird to think of you as a teen—you haven’t gone through any wild mood swings or cranky periods yet. Quite the opposite, really. You are a delightful young person! You still seem like you like to hang out with Dad and me; you’re the kid who I can count on to accept a compromise; you take responsibility for anything thrown in your direction; you enjoy a good meal; you’re agreeable; you’re almost always in a good mood; you’re an awesome role model for your brother. 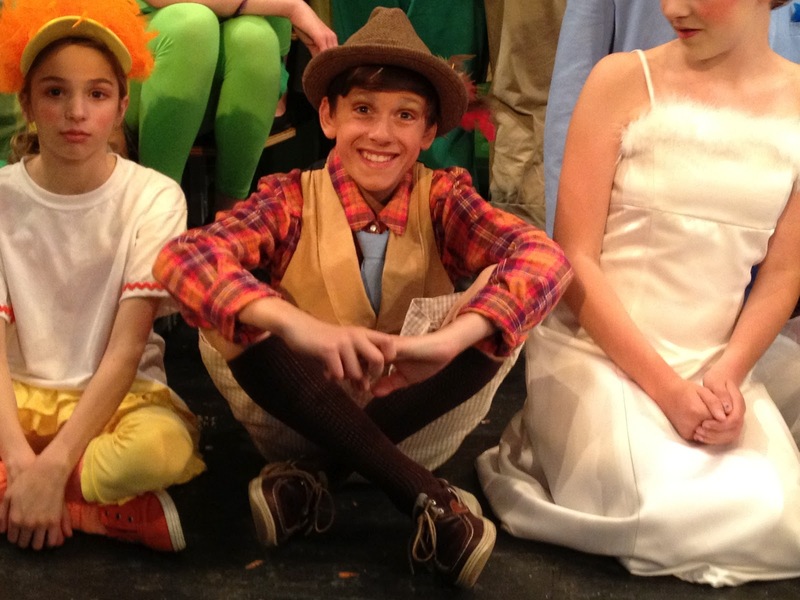 On the extracurricular front, you love theatre, gaming, and Camp Billings. You also like math, running, sailing, swimming, hanging out with Baxter, and bowling. You don’t like beets, language arts, or housework. A little more typical, I think. As a member of the LEAD group in school, captain of the cross-country team, and recipient of the Camp Billings Triangle of Honor, you’ve shown a confident capacity for and interest in being a leader. And you will debate an issue until the cows come home. That headstrong and stubborn streak of your toddler years is still there, but it shows itself in more positive ways now. You are on the top of the hill as an 8th grader, and you started the year with a long list of things you need to accomplish: homework, athletics, theatre, chorus, band, your 8th grade community service project. You seemed a bit stressed by the challenge of it all, but I don’t see anything getting in your way. Except for this: You lose things. But you find them. I don’t think I’ll ever meet a person who has such a lucky streak for finding misplaced things. You lost a new jacket four days after you received it for your birthday, and when I asked you if you had found it, your answer was “Not YET.” And you found it the next day. This happens relatively frequently with your lunchbox too. So here we go into your years of getting prepared to be an adult. It’s likely that you will get a little moody and make some bad choices in the coming years. (Remember “Fork you”?) And I bet your room will never be spotless, your hair will never be long and messy, and your individuality will never be compromised.